In late June 2018, Auckland Transport (AT) approved the Regional Land Transport Plan 2018 – 28 (RLTP). The RLTP sets out the strategic direction, key priorities and programme of investment for land transport for the Auckland region over the next 10 years. It covers the activities to be undertaken in Auckland over the next decade by AT and the NZ Transport Agency, together with KiwiRail’s improvements to the Auckland rail network. 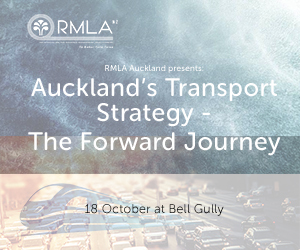 The presentation outlines the transport challenges to be addressed in Auckland, the key priorities of the RLTP, the core elements of the 10 year investment programme, and the outcomes which are expected to be achieved. It also describes the role of regional fuel tax in funding the RLTP investment package, and the issues and risks facing AT as it seeks to deliver on its part of the RLTP programme. The presentation was made by Cynthia Gillespie (Executive General Manager, Planning and Investment) and Christine Perrins (Group Manager, Strategic Transport Planning), Auckland Transport.